Welcome back to week four of our October Halloween-Horror Binge here at Saturday Night Movie Sleepovers! As has been the tradition with the fourth week of the SNMS Halloween horror cycle, J. Blake and Dion Baia pick a film that actually takes place on the day or has the holiday itself play a part in the plot… So for this go-around they’ve selected a TV movie that is a classic within the genre- Dark Night of the Scarecrow, from 1981. The fellas reminisce about this often lost art, the major network horror movie, and how unique these forgotten templates were for this once-popular format on the small screen. A forgotten classic and a great example of a comeuppance tale, Dion and Blake plot the origins of Scarecrow and try to confirm if this the first example of a scarecrow character as an antagonist (or protagonist?) in a horror film. They also go into the backstory of the players involved, like the great Charles Durning and the story’s director, Frank De Felitta. 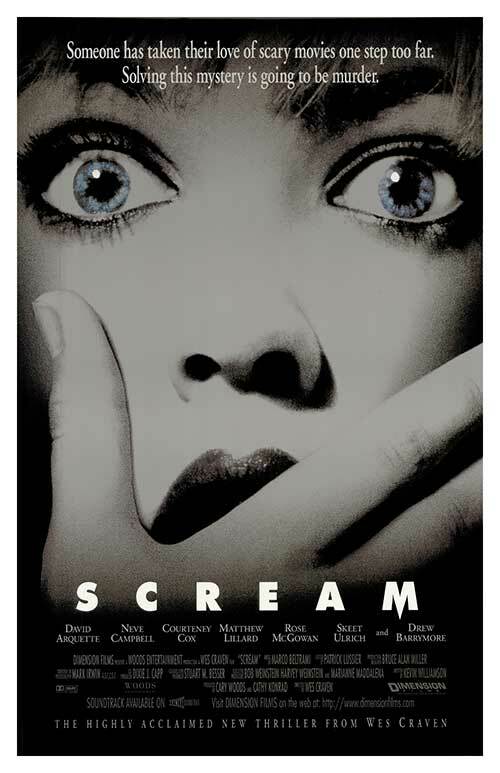 The boys also discuss the differences of a story like this, where less is more and implication is the name of the game at a time when the slasher genre was in full swing, and how a movie with no gore but instead relies on terror and suspense, can holdup within that time period when blood and guts were the norm. So how does this TV movie hold up 35 years later? How does Ray Bradbury have a connection to this work? And how good is Charles Durning in this demented role? And why did they make him a mailman? Well come on down and check out our final installment of 2016’s October-horror Halloween binge here on an all new episode of Saturday Night Movie Sleepovers! 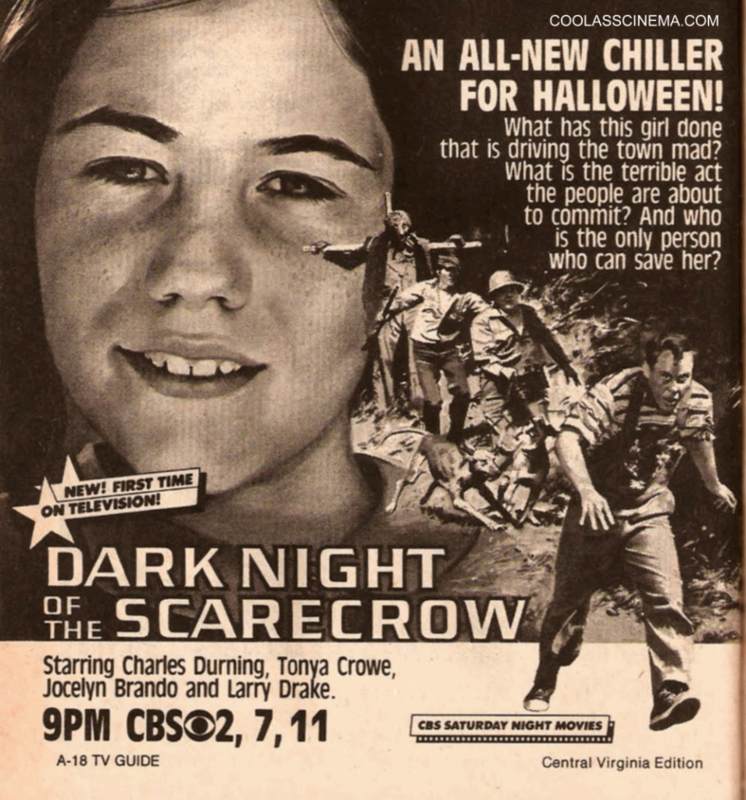 Check out Dark Night of the Scarecrow in it’s entirely, courtesy of YouTube! How about checking out the film out as it aired Saturday, October 24th 1981, with the original commercials to boot, again courtesy of YouTube! Take a look at this rare interview with writer J.D. Feigelson, courtesy of MutantvillePlayers! And have a look at this rare interview with the late, great Larry Drake, again courtesy of MutantvillePlayers! 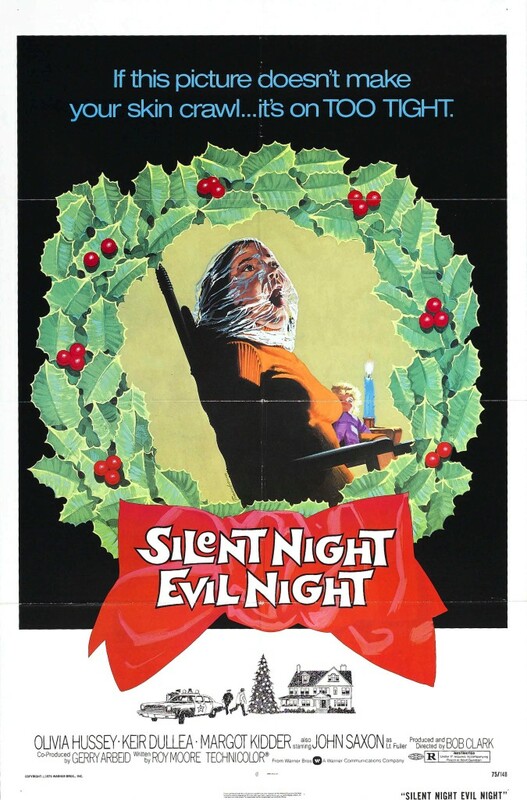 In a very exciting Christmas Edition of Saturday Night Movie Sleepovers, Dion Baia and J. Blake explore the highly underrated and highly influential Bob Clark film- no, not the uber-iconic A Christmas Story- but his other Christmas movie from 10 years prior, his brilliant horror, Black Christmas from 1974. What cinema secrets does this lesser-known gem hold that now have become cliched? Having been released 4 years prior to the landmark horror film Halloween which is usually deemed the first slasher film, does Black Christmas instead deserve that prestigious title? How does the director of such a legendary Christmas film like A Christmas Story direct such a drastically different and brilliant genre-film centered around the same holiday, nearly a decade before? Well, all the answers to the questions posed and the boy’s love for the late and great Bob Clark are all revealed in this special, Christmas edition of Saturday Night Movie Sleepovers!